Tales of Ruma is finally out! 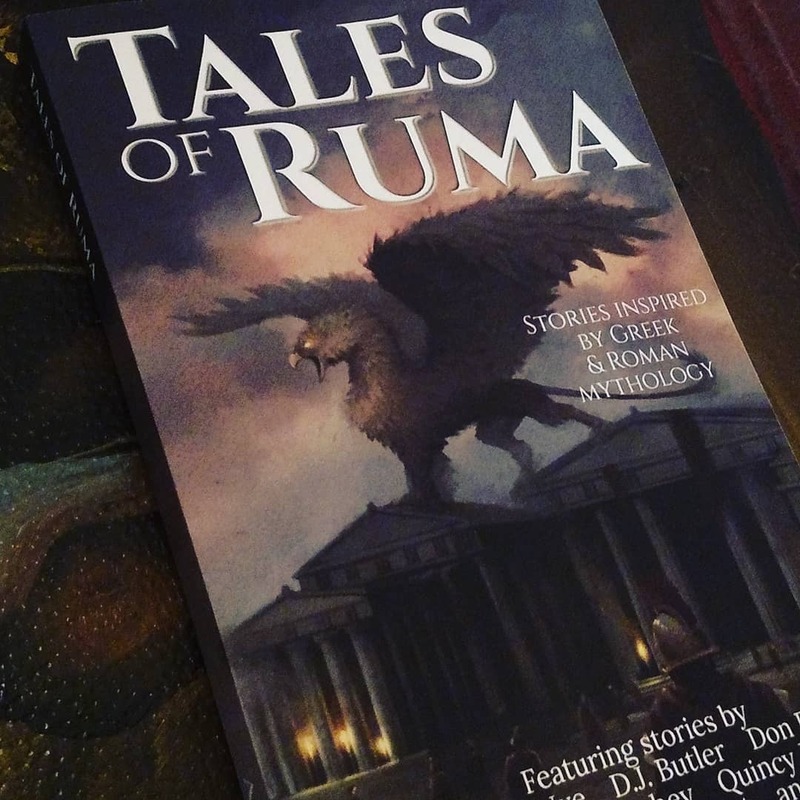 It’s an awesome collection of 17 short stories inspired by the myths and legends of ancient Rome, Ruma (an RPG setting created by the editor, Martin Greening), and Greece. The stories come in all sorts of flavors; you’ll find tales of the gods, telepathic unicorns, giant elemental creatures, and gritty, bloody battles. I’m super honored to have been included alongside a bunch of really spectacular writers. 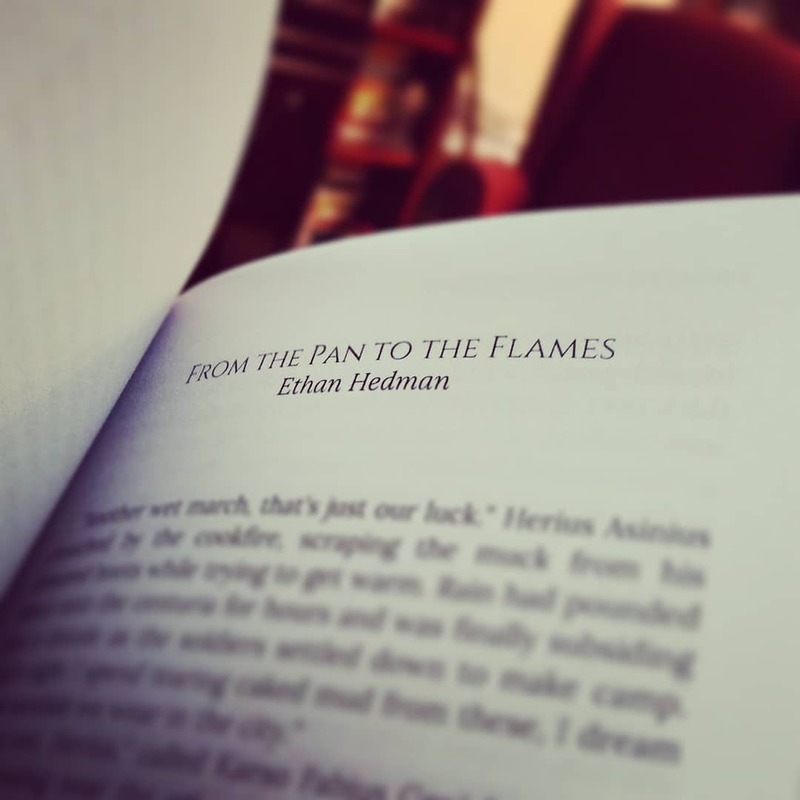 My story’s a brief battle scene titled From the Pan to the Flames. I wrote it specifically for Martin’s Ruma setting in the hopes of contributing to his fledgling world and was thrilled when he accepted it into the anthology. It was also a really magical experience to see and hold my work in print for the first time–my story in Lucent Dreaming was published first, but my copy of their debut issue took a bit of time to get across the pond. The book is available in both paperback and Kindle editions via Amazon. You can take a sneak peak at the first story in the book, The Question that Matters by Jody Lynn Nye, thanks to Amazon’s nifty Look Inside feature. If you want to get even more of an idea of what the anthology has to offer, Jonathan Ficke (a fellow Tales of Ruma contributor) did a great rundown of all of the stories over on his website.